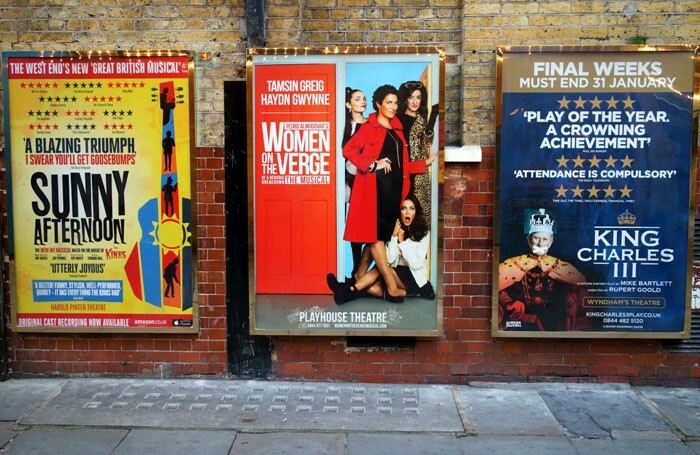 Mark Shenton: Has theatre got too many publicists? Mark Shenton: Has theatre got too many publicists for its own good? When I first started working in theatre, every regional theatre had a workshop, it had a prop master, it had a scenic designer, it had a trainee design scheme. Those sorts don’t exist anymore, they’re all gone. Those jobs incrementally have got less and less, and I’ve watched administration get bigger and bigger. We have endless management and actually the core backbone of producing theatre is disappearing… It doesn’t matter how many administrators you have, if you’ve got no one to paint the scenery and no carpenters, you’re not going to have a show. He has a point: why do theatres, especially regional producing theatres, sometimes have a vast behind-the-scenes staff to keep the wheels of the theatre turning, but “buy in” so many of the services that used to come as standard? This includes scenery and costume workshops, resident designers, lighting and sound staff. I realise there’s no point in putting on a show if you don’t have people working to promote and publicise it, but I’m starting to wonder if the staffing isn’t slightly topsy-turvy. At Nottingham Playhouse, for instance, there are three staff members in production (one carpenter, two in construction), four in lighting, sound and video, two in the paint shop, three in wardrobe and two in props. There are also three people in stage management and three in technical. That’s a full-time backstage crew of 20. By contrast, there are two directors (artistic director and chief executive), four in finance, one in fundraising, five in participation and education, and – the biggest of any department in the building – nine in marketing, press and communications. That’s 21 in all; more than actually put on the shows. Yet despite having nine people working in communications, not one managed to communicate to me the most important news the theatre has had in ages: earlier this week they announced a new artistic director. Adam Penford – a Nottingham-born director – is to succeed Giles Croft after the latter’s 18-year tenure. I didn’t get a press release, though – I found out in a tweet. I remember the last time I attended a first night at the theatre, there seemed to be more people staffing the press desk than there were critics in attendance. No wonder that in the interval they were all too busy speaking to each other than being hospitable to us: not one approached us to talk. That’s despite having more staff than the National or Royal Shakespeare Company in their press and communications departments, each of which has five press staff. Perhaps in the age of Twitter some publicists think that sending out a tweet is enough to have covered all bases – and it’s certainly true that I found out about the Nottingham appointment that way, so it worked. But what exactly are they doing the rest of the time? We agree completely with Lez Brotherston when he says: “It doesn’t matter how many administrators you have, if you’ve got no one to paint the scenery and no carpenters, you’re not going to have a show.” That’s why we’re proud that, unlike many theatres and several producing houses, Nottingham Playhouse employs a full workshop, props, paint shop, wardrobe and stage management team. They are exemplary. As an example of a theatre “over investing” in administration Nottingham Playhouse could scarcely be a worse example. This Autumn we will have employed 40 performers, with 37 production staff employed for our current production of The Revenger’s Tragedy alone. Between them, our artistic and associate directors direct three to five shows a year and our chief executive, production manager and head of administration produce 13 shows a year. One fundraiser alone generates the funds to support 50% of the free activity created by participation, and since when did workshop leaders become administrators? Administration and marketing are essential tools to any business and recasting certain roles as administration is simply wrong (artistic director – really?). Everybody works very, very hard whether or not they need a hard hat to do it.